Republic Nashville duo Florida Georgia Line appeared on ABC’s The View recently to raise awareness of the national Outnumber Hunger campaign, aimed at battling hunger in local communities. 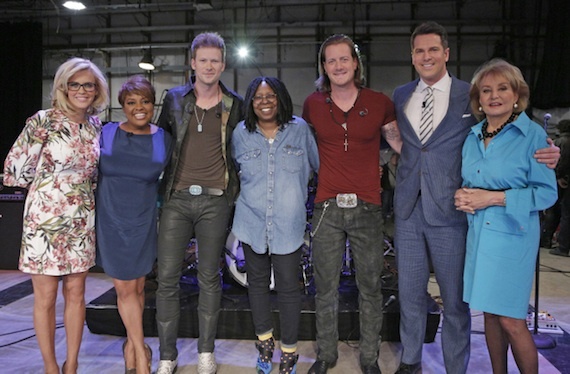 Pictured (L-R): The View’s Jenny McCarthy, Sherri Shepherd, FGL’s Brian Kelley, The View’s Whoopi Goldberg, FGL’s Tyler Hubbard, guest host MSNBC’s Thomas Roberts and The View’s Barbara Walters. 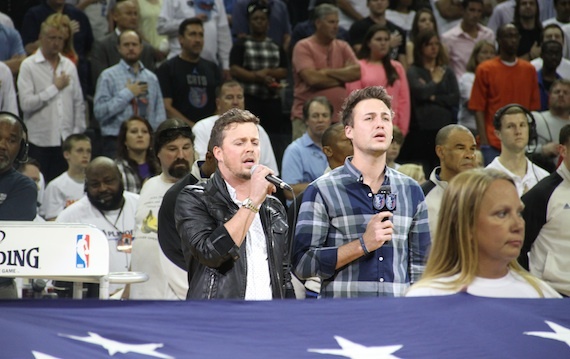 RCA Records Nashville duo Love And Theft performed the national anthem at Game 4 of the first round of the NBA Eastern Conference Playoffs at Time Warner Cable Arena in Charlotte, N.C., on Monday (April 28). Love and Theft perform the national anthem during Game 4 of the NBA Eastern Conference playoffs. 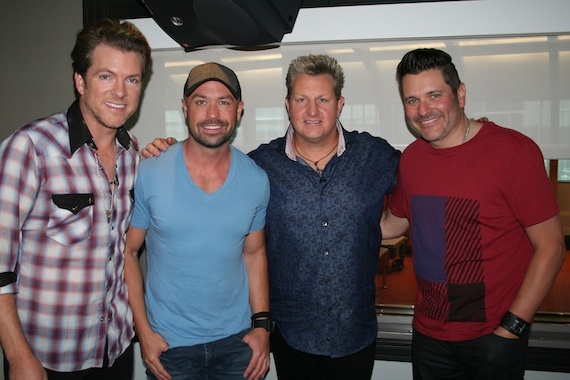 Rascal Flatts visited Cody Alan at CMT for upcoming episodes of CMT After MidNite, CMT All Access and CMT Radio Live in promotion of their new album hitting shelves May 13. Rascal Flatts with Cody Alan.